The ITF (International Transport Workers’ Federation) is calling on Panama to join the effort to help the recently released crew of the Iceberg 1 to recover from their hostage ordeal. The crew of the Panama-flagged vessel were held for nearly three years by Somali pirates – who subjected them to torture, starvation and even mutilation – before being released last month. 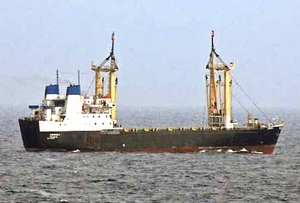 The 22 hostages, from seven nationalities (the chief officer is still missing and another seafarer committed suicide during his captivity), were helped home by the UNPOS and UNODC* Hostage Support Program, with support from, among others, Interpol, the Maritime Piracy Humanitarian Response Programme (MPHRP), the seafarers’ consulates (two countries sent aircraft to pick up their nationals) and the ITF. They are now in urgent need of psychological help to address the trauma they were deliberately subjected to, and assistance with rebuilding their lives. Many have medical problems and are looking for help. The MPHRP is assessing the help that the seafarers need, and will then arrive at an estimate of how much it will cost. Twenty-two crew members were freed during gun battles in December: eight Yemenis, five Indians, four Ghanaians, two Pakistanis, two Sudanese and one Filipino. One seafarer, Wagdi Akdram, a Yemeni, was driven to suicide by his ordeal. The fate of the Indian chief officer, Dhiraj Tiwari, is unknown. He is known to have been tortured and separated from the other crew. Another hostage had his ears mutilated. All the crew were subjected to torture and starvation. The Iceberg 1 had been held since March 2010. The shipowner, Azal Shipping of Dubai, had left the vessel uninsured when it was captured. The company paid no wages throughout either to the seafarers or their families. * UNPOS: United Nations Political Office for Somalia. UNDOC: United Nations Office on Drugs and Crime.